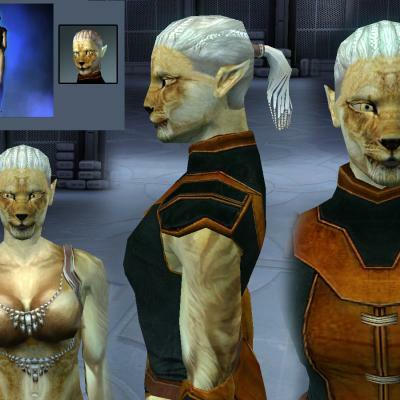 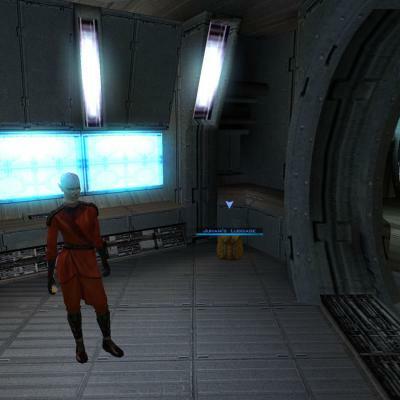 Description: This mod changes Juhani the Cathar to have a more cat like face. 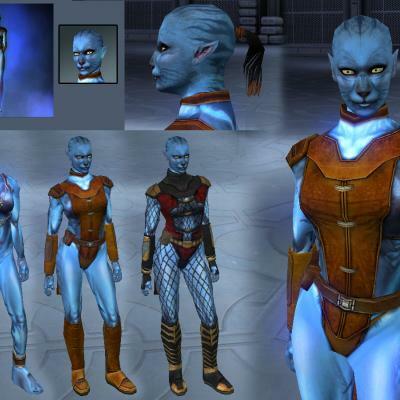 The head model has been modified to give her mouth, nose and ears a more pleasing shape. 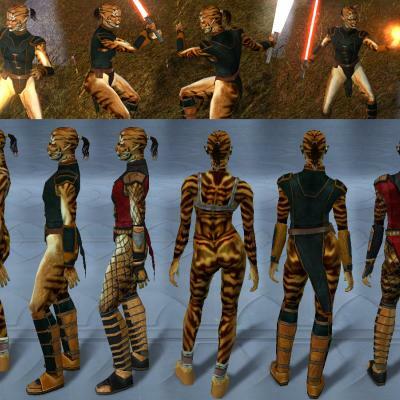 There are seven different skin color variations, including standard yellow (similar to her default look), Siberian white tiger (based on idea by Redhawke), cheetah, lioness, tigress, black panther, and a blue one similar to (but more cat-like than) a Na'vi from the movie Avatar. 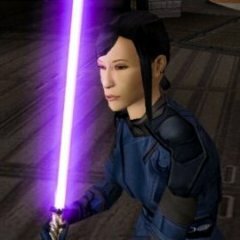 This mod will change her face, underwear (it's really just fur), normal clothes, second set of clothes, and all icons and portraits. 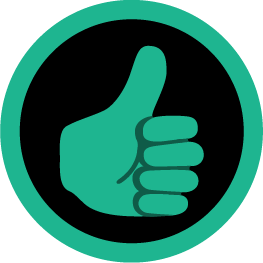 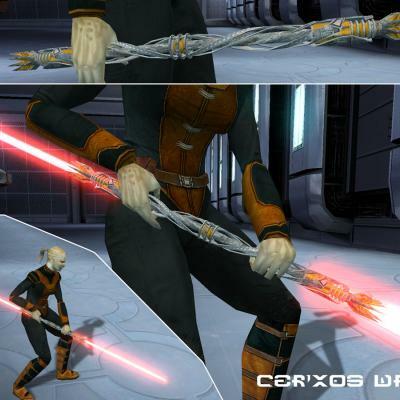 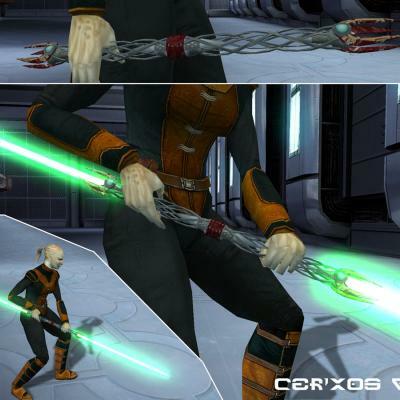 This mod also includes two new double bladed lightsabers and two sets of clothes for Juhani. 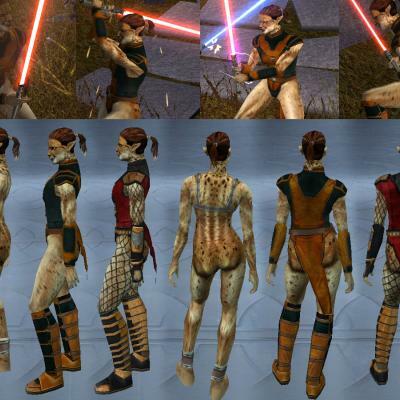 The clothing (Juhani's Predatory Stealth Mesh) can only be worn by Juhani, since it requires Force Camouflage feat. 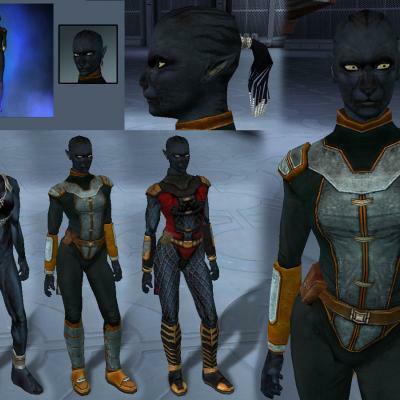 The other clothing (Juhani's Light Armor) is just a uti file that adds some stats, but they will look the same as her basic clothes. 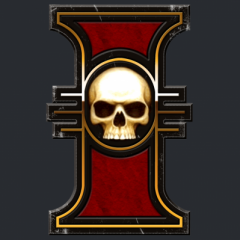 Thanks to Zhaboka for grammar tips on the item descriptions.